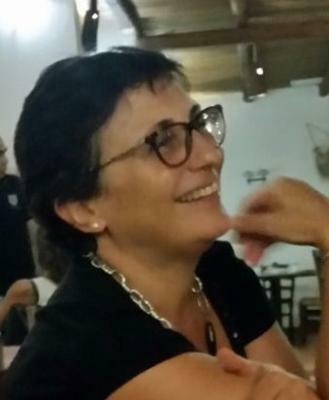 After a twenty-year career in scientific research, in 2010 Giuditta Lecca moved into the management sector with the goal to innovate the way CRS4 develops its potential, specialising on facilitating information exchange and collaboration. Since then, she is the Head of the Program "Valorisation and Transfer of Knowledge" (VALE) and, from September 2012 to October 2016, she was also serving as acting Director of the Sector "Business Development" (BD). Before she was a senior researcher in the area of Environmental Sciences of the Energy and Environment Program. She holds a Civil Engineering degree (1991) from the University of Cagliari and a Master on Valorisation and Management of Human Resources from the Catholic University of Milan and Confindustria (2005). Her research is focused on computational hydrogeology and high performance computing and it is published in major journals and conferences. From 1998 to 2010 she was scientific responsible for 8+ R&D projects at the regional, national and european level and tutor of 10+ stagers and early stage researchers. Since 2004 she has organized and chaired international workshops and conferences and taught advanced courses at universities on groundwater modeling. In 2007 she received in Maputo the IEEE Best Paper Award at the IST Africa Conference in Mozambique. She served extensively as reviewer for scientific international journals and, from 2007 to 2009, as Associated Editor of the Hydrogeology Journal edited by Springer. In the last 5 years she has focused her interests, either through professional practice that with professional certifications, on project management, intellectual property rights, funding policies and instruments, business intelligence and strategic leadership of scientific research and technological innovation. Professional certifications: Successful Negotiation: Essential Strategies and Skills, University of Michigan, nov 2015; Intellectual Property Law and Policy (part 1-mar 2016, part 2-feb 2018) University of Pennsylvania; Private Equity and Venture Capital, Università Bocconi, jul 2016; PM9001x: Project Management Life Cycle, Rochester Institute of Technology, apr 2017.